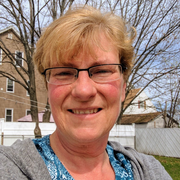 For 26 years as a licensed child care provider, I have been nurturing and caring for children in my home while their parents are at work or school as well as raising three children of my own. I welcome children each day with a happy smile and hug. I provide love and positive attention, I can make meals, read, crafts and age appropriate activities. I have been fortunate enough to have helped several families with all their children from infancy until they went to school and continue to have a special bond with these families. I organize activities and implement curriculum that stimulate children's physical, emotional, intellectual, and social growth.